When I opened this latest sample sent to me by DT Member Michele Storms, the actual words out of my mouth were, "Oh Wow!" This is so pretty and quite dramatic. 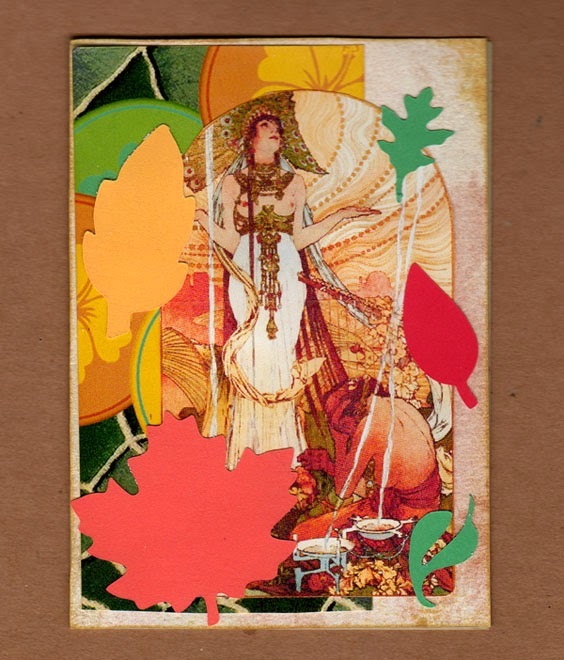 I recognize the Egyptian Art Nouveau image from one of my Mucha collage sheets. I love her pose, and the assymmetrical placement of the arch on the background, and the swirl of big bright leaves. Thanks, Michele! Visit Michele at Artfromthewell.blogspot.com.